Christmas shopping can be challenging. How many scarves, gloves, wallets, and ties does any one individual really need? If you are really finding yourself with an idea block of what to get that special someone, magazine subscriptions can provide year-round joy. – A subscription provides a big bang for your buck as subscriptions are normally far less than paying for individual issues. – It’s the gift that keeps on giving all year and will add to your library of reference material. Even though I have many online resources, there is nothing quite like curling up with a cup of coffee, a stack of sticky notes and a favourite magazine! I have a few suggestions (with personal bias toward sites that focus on homebuilding, design, decor and innovations). Now for the staging of your gift… There are many options above and beyond a simple envelope. Depending on your recipient’s tastes, you may want to dress up your gift a bit with a gift mug or basket (or storage rack, sticky notes, journal and pen). 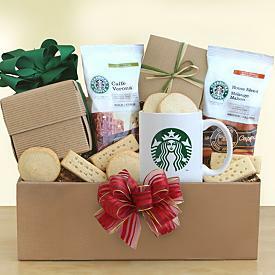 Of course, there are many companies that provide gift basket services to make the packaging even easier. Wishing you a safe and wonderful holiday season!